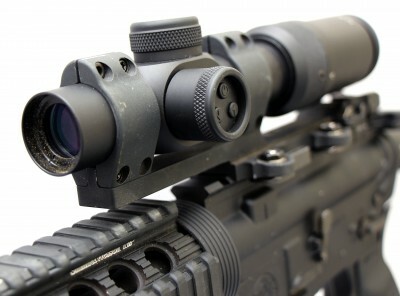 US Optics SR4C mounted on issued patrol rifle using a Larue Tactical SPR-E QD mount. The SR4C is 9.25 inches long, weighs 1.24 pounds, and has an eye relief of 3.7 inches. Having competed with and evaluated numerous low-power variable optics, I had not found one that offered the correct balance of reticle, illumination, size, weight, and ruggedness to be a suitable patrol rifle optic. Some models by quality manufacturers built for military and law enforcement use had busy reticles or unreliable illumination. 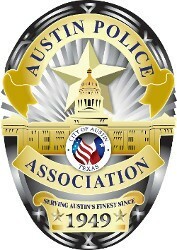 Others offered good reticles and illumination but were designed for hunting or competition not rugged police use. US Optics, known for their durable military precision rifle optics, finally appeared to strike this balance with their new SR4C. 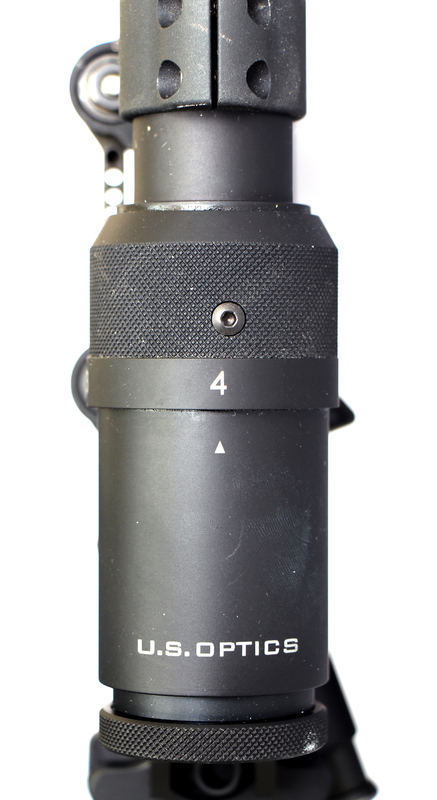 The SR4C is a 1-4x variable weighing in at 1.24 pounds with a 9.25 inch overall length and 30mm tube. Low profile 2/10 MIL marked turrets are concealed under screw caps and have an adjustable zero. A MIL scale reticle is etched on the first focal plane, so it grows with the target under magnification allowing the 1 MIL substensions to be accurate at any magnification. What is unique about this optic is the illuminated 4 MOA red dot that is projected onto the second focal plane which means it remains the same size throughout the magnification range. This allows the red dot to be large enough to be fast at close range while not growing to obscure the target at higher magnifications. Three digital push buttons control the 4 MOA illuminated red dot consisting of an on/off button and two illumination setting buttons to change between the 12 different illumination settings that allow the dot to be visible in any lighting conditions. The previously used illumination setting is remembered when the optic is powered off, and the dot is powered by a single CR2032 battery projected to last one year of daily use utilizing the SR4C’s 12-hour auto shut off. Any variable will be larger and heavier than an RDO, and that is a price that must be paid for magnification. However, the SR4C is similar in size and weight to a 30mm Aimpoint coupled with a 3x magnifier, but the SR4C offers higher magnification, a ranging reticle, and does not hang off to the side of the rifle while on 1x. 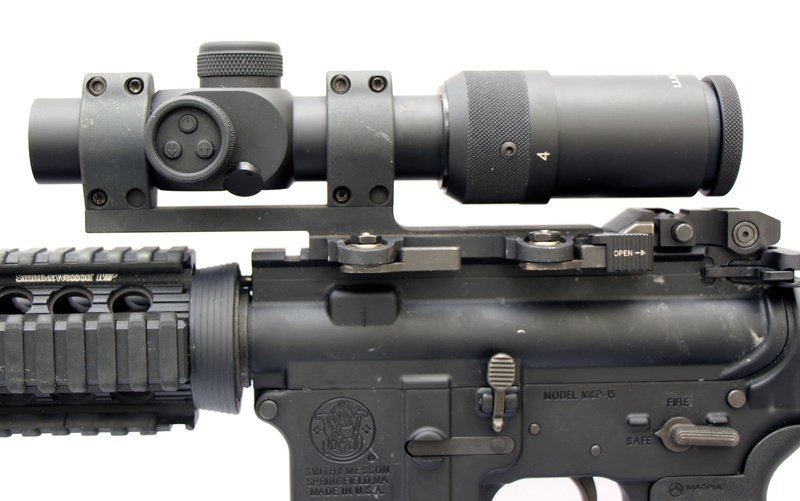 When mounted the SR4C center of gravity is centered over the receiver, so it does not unbalance the rifle or weight the muzzle. The 30mm tube allows the use of a large array of optic mounts, and the low profile turrets are large enough to adjust easily without obscuring the shooter’s vision when the rifle is at low ready. The 2/10 MIL adjustments are a good compromise for a low-power variable and can be reset to zero with a torx key once the optic is zeroed. The MIL scale reticle matches the turrets, and each mark is 1 MIL despite the alternating length between each one. This caused slight confusion to my eyes, and I would have preferred each mark to be same length. An issue with every second focal plane reticle, the reticle lines are a bit thick at the top end to allow the reticle to still be visible at the low end. This can partially obscure very small targets, but it is a worthy tradeoff for a useable reticle at 1x in case the illumination were to fail. 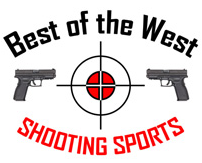 The second focal plane red dot is truly the crown jewel of this optic. 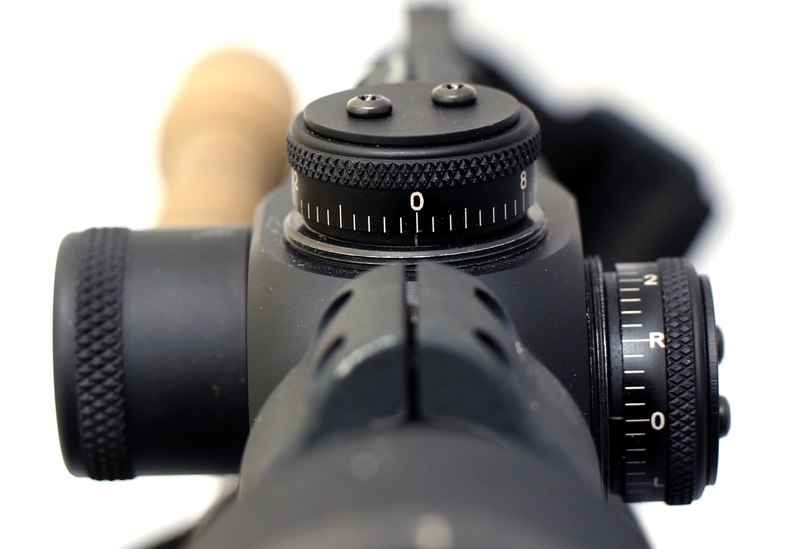 The 4 MOA dot is the same size as an Aimpoint, and it is projected onto the reticle using similar technology. The dot size is very fast at close range without being a liability at further ranges since the dot can be turned off and only the cross hair reticle used. The illumination settings are also similar to the Aimpoint offering night vision compatible settings on the bottom end all the way to too bright for any conceivable condition at the top end. Large magnification ring rotates from true 1x to 4x. The ring is very stiff and requires 270 degrees of throw, but the texture allowed the ring to be easily rotated with gloves. A 12-hour auto shut off allows the illumination to be activated prior to shift and remaining on for the duration of the shift without worrying about losing battery life and without wasting time turning the illumination on when the rifle is need. While the single CR2032 battery has a 10,000 hour life on the lowest illumination setting, US Optics projects the battery to last about a year of daily use if used in the above manner. The illumination is controlled by three push buttons on the side of the optic: one for on/off, one to increase brightness, and one to decrease brightness. The illumination turns on to the same setting as when it was last turned off, so only one button push is required to turn it on to a useful setting without having to cycle through them all. Hitting the on/off button the first time without looking while wearing gloves was not always successful, so I would prefer the on/off button to be a different size than the two illumination setting buttons to provide more tactile feedback. The magnification ring is very stiff and requires 270 degrees of throw to change from 1x to 4x. While the stiffness usually loosens with use and keeps the magnification from inadvertently changing when rubbing against gear, I would prefer a shorter 180 degree throw. Screw caps conceal low profile target turrets with .2 MIL clicks. Once zeroed, the turrets can be reset to “0” using a torx key for repeatable turret adjustments.